B&D Controlled Air Corp. is excited to announce our partnership with Rich Tesoriero, P.E. Rich is an experienced mechanical engineer and project manager with over 20 years of experience with HVAC systems, controls, and manufacturing. Rich loves collecting and analyzing data to solve complex problems such as: using building management system data to improve HVAC system performance, designing CHP systems including data acquisition systems for measurement and verification of energy savings, simulating building energy use with eQuest, and commissioning manufacturing process control equipment. Since 2012, Rich has consulted to multiple Smart Building startups and is focused on the application of internet based technologies to improve building performance. 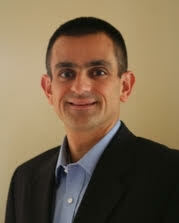 Rich is a registered professional engineer in Connecticut, an AEE Certified Energy Manger, and an ASHRAE Certified Commissioning Process Management Professional. Rich earned a BS in Mechanical Engineering from Rensselaer Polytechnic Institute, and an MBA from Western CT State University. Rich is available to help with solutions to any particular challenge your facility may wish to undertake. He has provided many of our customers with energy savings and incentives for their energy upgrade projects. To schedule an appointment with Rich please call our office at 860-355-3705.